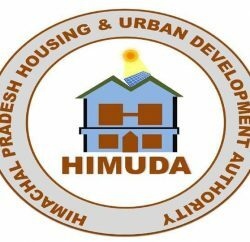 The Himachal Pradesh Housing and Urban Development Authority (HIMUDA) is planning to make an amendment to its regulations to reserve plots and flats for bona fide Himachali, so that their housing needs are met first and only a small percentage of its structures are offered to outsiders. 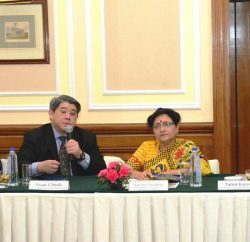 Despite a survey undertaken by HIMUDA indicating that there is a demand for about 70,000 houses, the agency is finding it tough to meet the demand in view of scarce land in the hill state. As such another important decision that has been taken by HIMUDA is to only make flats and not offer plots so that the needs of a majority are met since sufficient land is not available. I feel that HIMUDA should use unwanted lands of remote areas with establishing all the connectivities like roads, good transport facilities, electricity, water, parking, greenaries and good marketing facilities instead of using agricultural land in the state. This is very good and important decision in fever of bona fide himachali , if Punjab , Haryana and other state is doing there is nothing wrong in this decision. If Himachal has land scaracity problem to meet the growing demand for houses to the bonefide Himachalis then I failed to understand Why HP govt. has allowed the builders to acqire land and sell the flats and villas to outsiders. 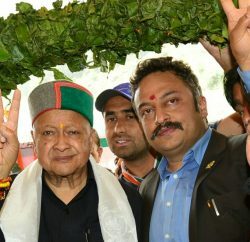 This sort of policy is only helping the builders and few bigwigs in the state at the expense of comman Himachalis. HP govt. should immediately srap this policy and also inspect the land purchased in the name of setting up projects /Industry. My fear is that most of these sites may not be used for the purposes for which they were alllowed to purchase the land. But, there is no scarcity of land in HP. My observation is that Govt. is doing well allowing builders to acquire land and sell flats and villas to outsiders. This trend can make wonderful changes in living standard and many other things, which are compulsory for Himachalies. My opinion is that instead of using fertile land (which is something risky) for the development of colonies, Govt. should allow builders to take and use bunger/unwanted land of remote areas for the development industries and colonies providing each and every facilities as suggested in my earlier comments.